Newbie Congresswoman Alexandria Ocasio-Cortez is not a shy and retiring flower; nor is she prone to the basic humility expected of a freshman politician. No, she’s just another nasty Chola whose prone to threatening people. First, it was Donald Trump Jr. being threatened by Ocasio-Cortez, and now it the CEO’s of Microsoft, Facebook, and Google receiving threats. And, unlike the thoughtless threat against Donald Trump Jr., these threats are ideologically based and, hence, are more serious. Even more serious since they’re a direct attack on basic rights that are both constitutionally enumerated and set forth in the Universal Declaration of Human Rights. We are writing to you today in light of the important role that your companies play as we prepare to take comprehensive action on climate Change. As Members of the House of Representatives, we have already begun our individual, committee, and caucus efforts to make this issue a top priority in the 116th Congress. That is why we were deeply disappointed to see that your companies were high-level sponsors of a conference this month in Washington D.C., known as LibertyCon, that included a session denying established science on climate change. The past commitments of your companies to address climate change have been well documented. We are encouraged that each of you have pledged to reduce your carbon footprint and have committed other efforts like pursuing renewable energy. We need more of this commitment from corporate America. Disappointingly, though, the example you have set promoting sustainability and evidence-based science is compromised by your implicit support of the session organized at LibertyCon. As you are well aware, the spreading of misinformation can be dangerous to our society. Today’s coordinated campaign to deny climate change, or to put a positive spin on its effects, is not unlike that of the tobacco companies which once sought to discredit their product’s link to cancer. Their propaganda kept the nation from addressing a public health crisis for years, leading to many preventable deaths. We cannot afford to make the same mistake again with Climate change. We must be resolute against granting this campaign any credibility, whether intentional or otherwise. We look forward to hearing from you in the hope that we can continue to count on you as allies in the fight for a more sustainable future. Now think about that. Ocasio-Cortez is “concerned ” that the three big tech firms were among the sponsors of an event that included among many other Libertarian and Libertarian-leaning sessions, one that spoke against the AGW position that she believes in. She concerned enough to write to the CEOs of those companies in order to make sure that they won’t do that again. Essentially, the puta said to them, “Those are some nice stock prices you’ve got there. It’d be a shame if we subpoenaed you and something happened to it.” And she made sure to have Rep. Pingree involved to lend muscle to her implied threat of the loss of 10s of billions of dollars. That, my fellow Americans, is the beginnings of tyranny. When a worthless politician is comfortable with threatening corporate leaders if they don’t make sure to never again lend support to any event or gathering that might include something that the politician doesn’t like, liberty and America are already moribund. And, nor is this completely unfounded hyperbole or hysterics on my part. Ocasio-Cortez has already framed Global Warming as an existential threat that must be fought without limits. Millennials and people, you know, Gen Z and all these folks that will come after us are looking up and we’re like: ‘The world is gonna end in 12 years if we don’t address climate change and your biggest issue is how are we gonna pay for it? This is our World War II. Just pause a moment and think about her language and the belief structure it is evidence of. It’s the language of extremism and fanatical belief. And, it is the language that led to World War II; it was just couched in German instead of English. It’s the language used by those who have already accepted any moral cost for the sake of their cause. Think about this carefully and act accordingly. 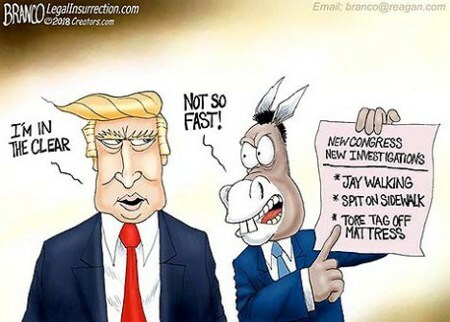 This aptly sums up the Democrats’ spending priorities. 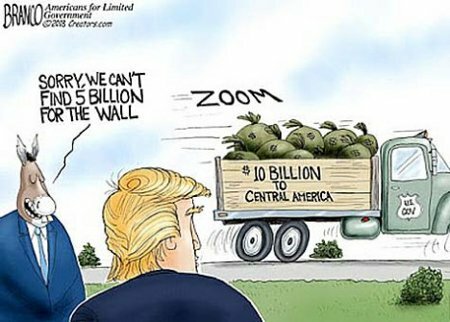 They’re happy to send $10 billion in foreign aid to Central America but refuse to even consider half that amount for a wall at America’s southern border… Mostly because our President wants one and promised to build one. Then, this is a large part of why the Democrats should be – forcibly, if needs be and it will be needed – removed from office. Their TURDS has reached a point where they are a clear and present danger to others, especially the American people. I swear, they hate President Trump and the American people, who voted for him and support his efforts to make America great again, so much that they’ve become some twisted funhouse of mirror of Robert Goodloe Harper, essentially saying, “Billions in tribute, but not one cent for defense!” solely because the POTUS is Donald Trump. With our domestic enemies’ political arm, the Democrats having gained a slim majority in the House, we can expect the coming blight of their ever-more-petty insurrection and war against our President. Be ready, for there is no place to low for their sort to go in their quest to destroy President Trump and the American people and there is no action too base or too vile for them to engage in. ‘Tis Christmas, and we’d all like to celebrate and spend time with our families and loved ones. But we can’t forget that there are grinches out there who have neither families nor loved ones and who harbor nothing but envy and hatred for the American people, who do. 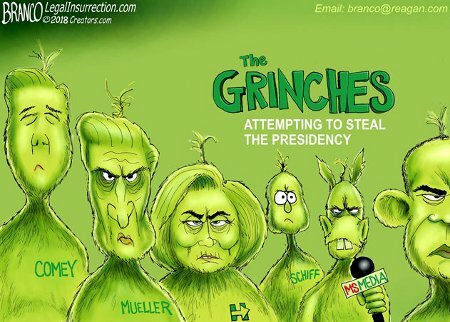 We must remember that these Grinches would like to steal all that we have and aspire to, including Christmas. Just as George Washington and the patriots of the Continental Army set aside their celebrations 242 years ago this night, modern patriots must be ready, willing, able, and equipped to do whatever is necessary to defend our nation and our people from these domestic enemies, who are far worse than any Hessians ever were. Well Damn! I guess that old adage about broken clock is more right than I thought. 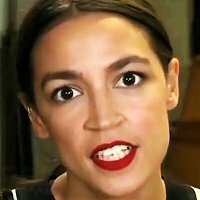 The Dems’ next-wave crazy, Alexandria Ocasio-Cortez actually said some both correct and not for once antithetical to American people’s sensibilities. 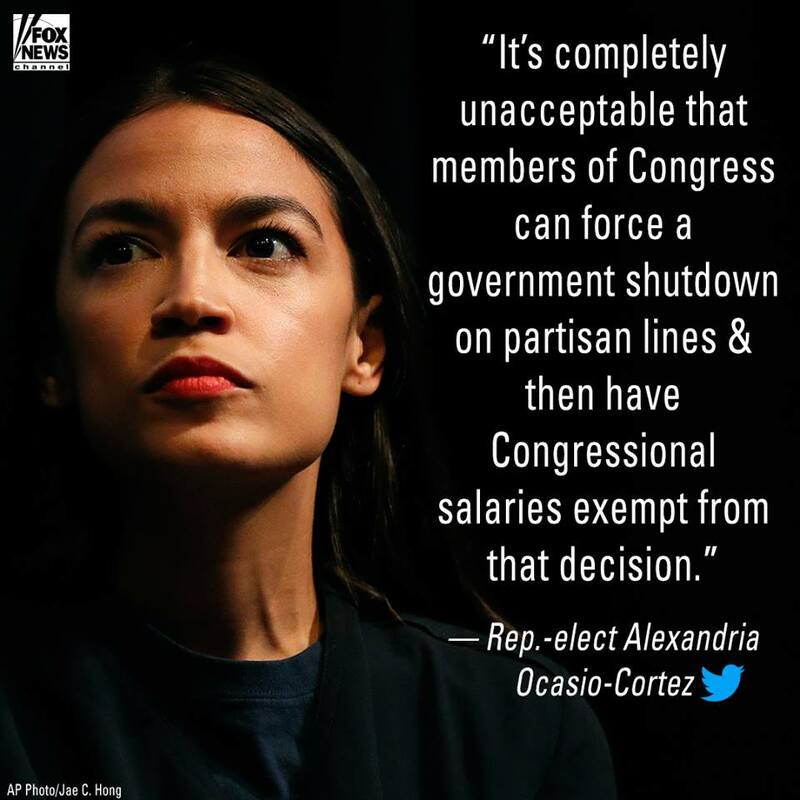 Because yes, it IS completely unacceptable that members of Congress can force a government shutdown on partisan lines and then have Congressional salaries exempt from the consequences of that decision.